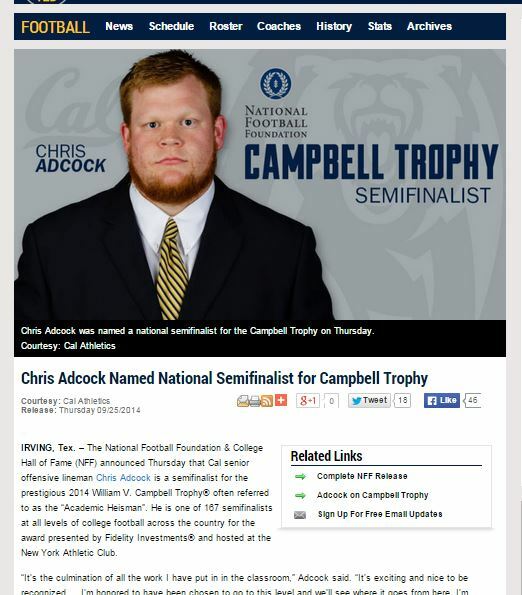 Cal Football 2014 – WERE YOU NOT ENTERTAINED!!! YES!!! 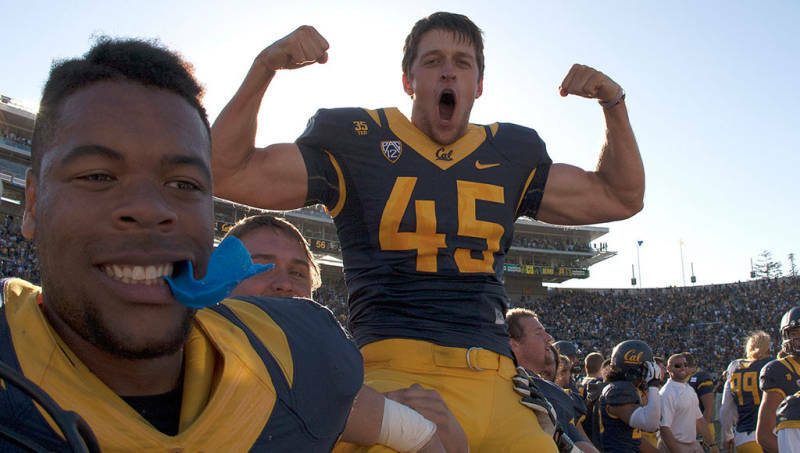 Cal Football 2014 was WILDLY ENTERTAINING! 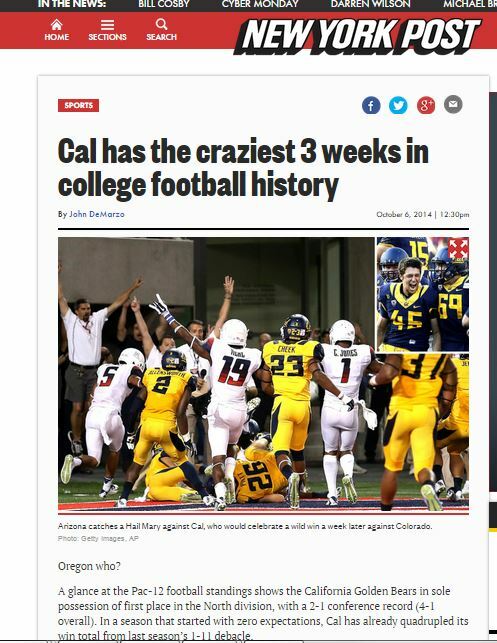 Let’s put a few things in perspective… Last year our Cal Bears were 1-11. We were blown out by historic margins in all but 2 games. But through it all, game after game, blowout after blowout, I stayed through to the end. This year that all changed. Cal quintupled its win total over last year. The games were competitive. The games were FUN. So you’ll forgive me for not moping over the loss on Saturday and instead being excited about what happened this year!! You know, I realize I can be the most annoying positive person on the planet. I just hate wallowing in misery and defeat (and I’ve experience plenty). It’s just how I get through life, seems to work for me but certainly not you have to do it. So leaving Memorial Stadium on Saturday afternoon, like everyone I was disappointed in the loss. But I certainly wasn’t disappointed in the season. And I wasn’t upset and I wasn’t disappointed for me. I was disappointed for the players and the coaches. I’ve seen how much they have embraced the Cal community. So I just want to share my thoughts on why I loved this season so much and why I am so excited for next year. I’ve seen how incredibly accessible these coaches are (and their families) to the fans. I would find it hard to believe there is another coaching staff in American who is as interactive with the fans and community as this staff is. Heck even their wives – if you go to the game and you’re sitting by her, be prepared for Kate Dykes to come over and high five after every great play! For instance, Offensive Line Coach Zach Yenser and his awesome wife Beth were nice enough to invite me (a Thanksgiving orphan) over to dinner for Thanksgiving. Beth and Zach and his folks, sister and brother-in-law provided one of the nicest Thanksgivings possible (and son Graham provided the entertainment!). And here’s the thing. They’re all southerners. And you know what they all said – THEY LOVE CALIFORNIA. They said that the Student Section for the Big Game was better than any student section in the SEC. And they’re not alone. Heck several of the coaches live within walking distance of Memorial Stadium including famously Tony Franklin who has a loft in downtown Berkeley. They have welcomed back former players. They have our current players singing the fight song after game – when do you remember that happening? The classroom performance is on its way up. We have players who you should be proud are at Cal. Going into the season, after what can only be described as a brutal 2013 campaign, fans were almost uniformly of the same belief; we wanted to see 3 or 4 wins, a win over a traditional rival would be nice, and we wanted to see the team be competitive. Well you know what, we got two of the three. Cal was in just about EVERY game. 3 of our losses were one possession losses, including a Hail Mary. We fought back HARD against USC. We held our own against Oregon (look at how other teams not named Arizona did). We were two awful official calls at the end of the game away from beating UCLA. These last 5 mins really have been #Pac12Refs in all their glory. We were taken out of the Big Game game by nationally embarrassing officiating. And through all that we got something else, some wildly entertaining football. That last point can’t be glossed over. After last year (with the exception of the Northwestern game), and 2012, and even 2011 (even though we had more wins) and 2010 it had been a while since Cal games were fun. Honestly, think back to those years and just how not enjoyable the games were. Sure we won some games, but even then they never felt fun. Did ANYBODY have fun at the Holiday Bowl against Texas? Something was wrong. Well this year, almost every game was fun. This year started off beating beating Northwestern in Chicago with about 5K Cal fans in attendance! And as the game came to an end the players did something no one expected… they joined the crowd in singing Fight. Every fan there got goose bumps on that! I was up in Corvallis for the win! I was at SC for the loss, but was so proud of how we fought back and was great to see old friends and meet new ones! So I guess I ask, WERE WE NOT ENTERTAINED!!! Cal football is amazing. It’s a chance for all of us to come together and reunite with old friends and meet new ones as we support this most amazing of institutions! So with all that’s happened this year, I wondered, why were people so unhappy after Saturday’s loss. And looking at this post it dawned on my, by going to Northwestern and Oregon State, I got to experience two more wins than a lot of people who weren’t able to travel with team. And by going to Tucson and SC i got two more losses 😉 But they were fun. Sure, there’s the absolutely understandable revised expectations. We started out 4-1 and suddenly a bowl seemed not only reasonable, but possible. That of course didn’t take into account our season was incredibly front loaded in terms of winnable games. But man, this is the time to show our mettle. Second guessing is totally understandable, and I do it. Coaches don’t care and I’m sure they do it themselves. And I wouldn’t for a second invalidate your feelings of disappointment. This is when we get to show the great fans we are – and we are great fans. So as we get some time to reflect on this season, instead of proverbially stomping our feet and issuing ultimatums , how about doing something else. Spending that time THANKING THE TEAM for making football fun again and reminding why we love Cal Football. #GOBEARS!!! Don’t forget we’ve got Goff coming back as a junior. And all those receivers. And Lasco. And most of the Oline. And the defense will have another year under its belt. And so will the coaches! I am EXCITED about 2015! As always if you like this please feel free to share. And if you don’t like it feel free to share how stupid it is! Just a quickie today… what I love about America and makes my heart swell. The two smiling people – and they are ALWAYS smiling – in the above photo are Lydia and Joseph. 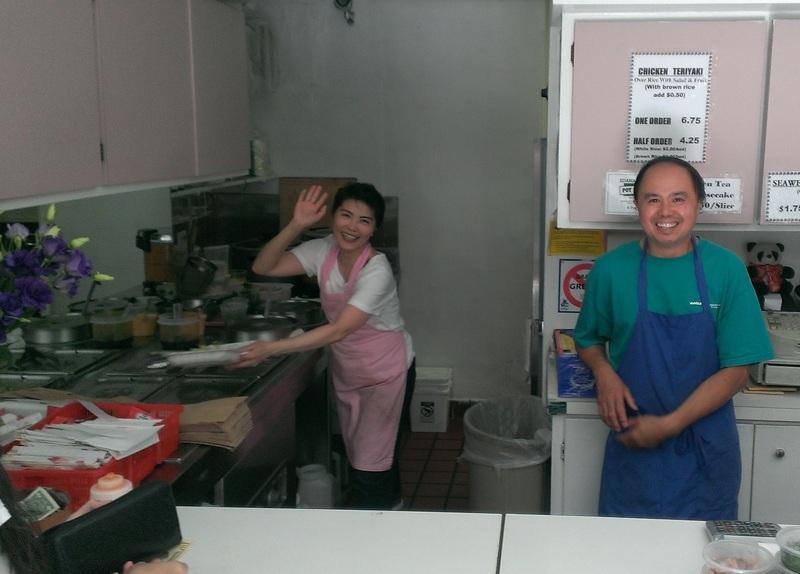 They have been serving up simple, awesome and incredibly reasonably priced Japanese lunches to patrons in San Francisco from their modest Jackson Square walk-in deli for 25 years. On any given day there’s a line out the door and down Pacific Avenue as customers wait to order Chicken Teriyaki over rice with a side of salad… for $6! Lydia and Joseph are first generation Americans and for my money are living the American dream. 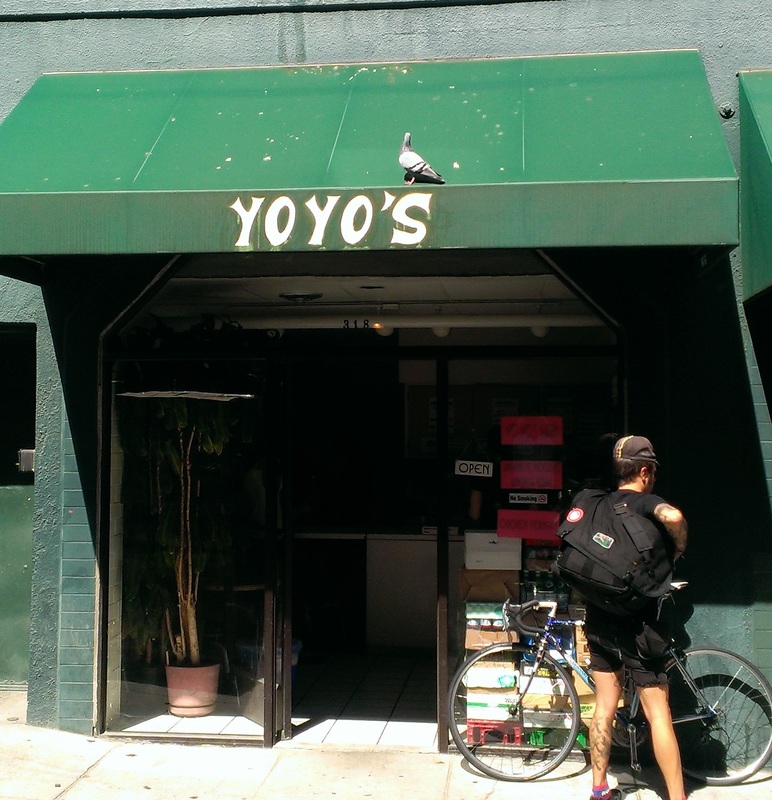 Today, with even huger smiles than usual, they apologized that they would not be open on Friday. Turns out they have to drive their son Justin to Los Angeles as he checks in for his freshman year at UCLA!!! And as if just getting into UCLA isn’t enough, Justin plans on studying biochem. Come on dude, try pushing yourself a little! So to Justin I say congrats on getting accepted to UCLA! To Lydia and Joseph congrats to you on raising a great kid. And thank you. Not just for years of great food, but most importantly, thank you for reminding us the American dream is alive and well. But why listen to me, let’s check out ESPN. “Still no bonfire…” When Cal tricked Stanford into cancelling its own bonfire!! !